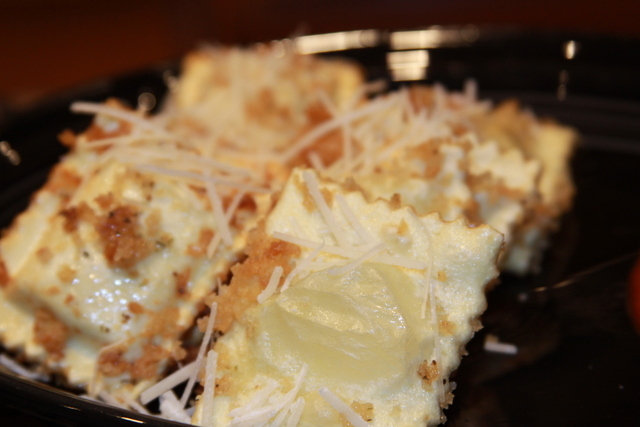 A recipe that was similar to this one was given by Laura in the recipe group. Unfortunately it was copyrighted in a way that we could not share on this blog. But the idea was interesting to to us so we thought we would give it a try on our own but with some different ingredients. I made these for lunch one day and when my husband came home he did not think he would enjoy this dish. But he did and said he would eat them again but they were just not very healthy. 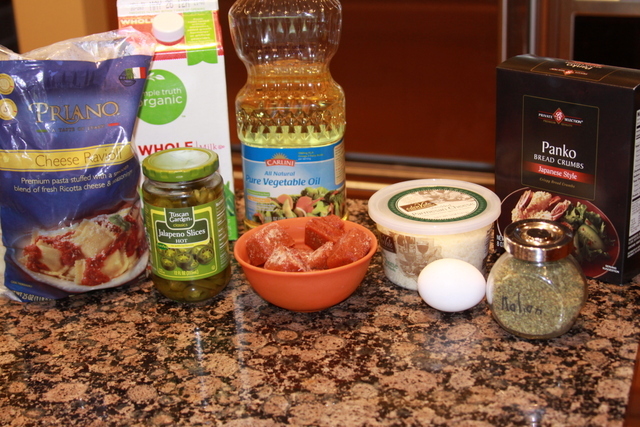 I have some pasta left so I may try a baked version one day soon. 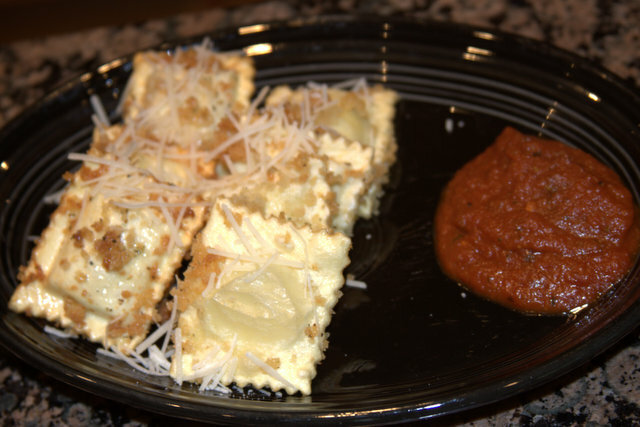 Cheese Ravioli - 1/2 package frozen, I used frozen and thawed ravioli and could not get the crumbs to stick to either very well. Combine milk, pepper juice, and egg in a small bowl. Place breadcrumbs and if desired, salt in a shallow bowl. Warm up your pizza sauce since mine was frozen I warmed mine up slowly. Pour about 2 inches of oil in a heavy pan. 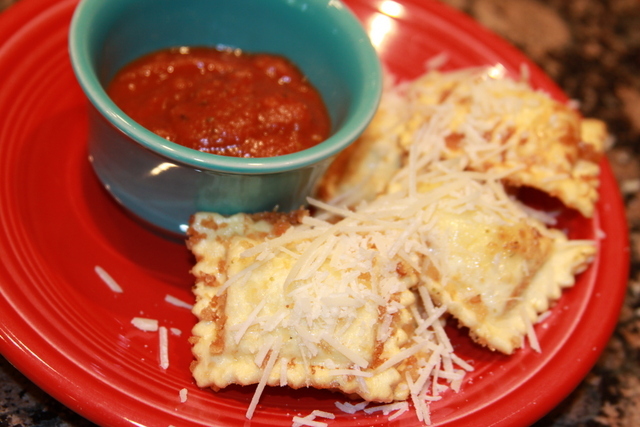 Fry ravioli, a few at a time, about 1 minute on each side. Drain on paper towels. 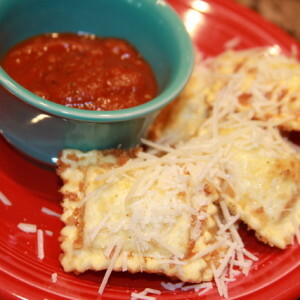 Sprinkle with Parmesan cheese and serve with warm sauce.